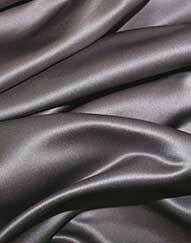 Our New collection of Taffeta table cloths to hire are a crisp, smooth, plain woven fabric made from silk. Taffeta is most frequently used in elegant evening and festive fashion as well as for decorative purposes.The word is Persian in origin and means “twisted woven.” this “high-end” fabric brings nothing but luxury to any table setting. Linen suppliers are proud to suppy this luxury linen after supplying the fabric to designer wedding dress makers, ball gown and luxury interior designers. Our Double width Taffeta table cloths to hire are availble in 25 colours. At the moment we are growing our stock based on clients requests. Please see our colour and chart or call our expert sales team to advise on colour and sizes 02072541343. Keep up to date with information about our products by joining our mailing list.